A glorious spring day – ideal walking conditions. 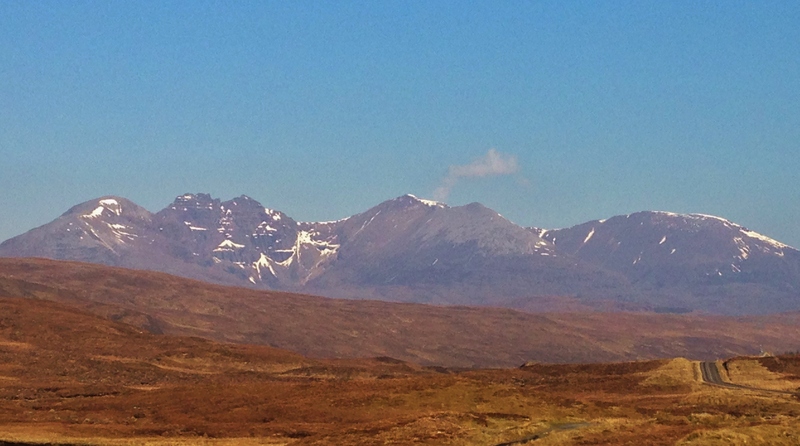 Looking into the East coires of An Teallach (Toll an Lochain on the left and Glas Tholl on the right) from the Fain road. Very limited snow cover! Looking into Toll an Lochain coire, Sgurr Fiona (1060m) and the Corrag Bhuidhe pinnacles at the back of the coire, Sail Liath (960m) on the left, Glas Bheall Mor (979m) far right and Glas Mheall Liath (960m) centre with the highest summit on An Teallach – Bidein a’ Ghlas Thuill (1062m) behind. 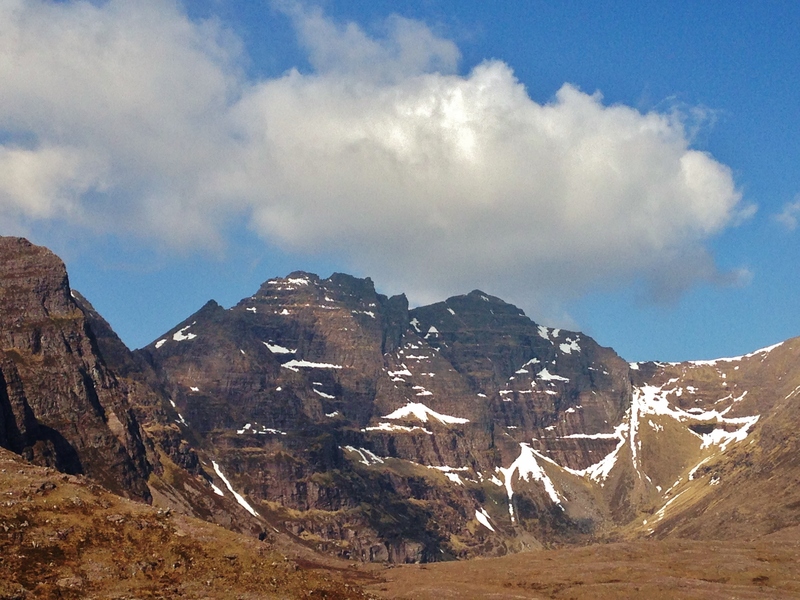 The main ridge of An Teallach; Corrag Bhuidhe (highest point) left, Lord Berkeley’s Seat (pinnacle on right of Corrag Bhuidhe) and Sgurr Fiona. 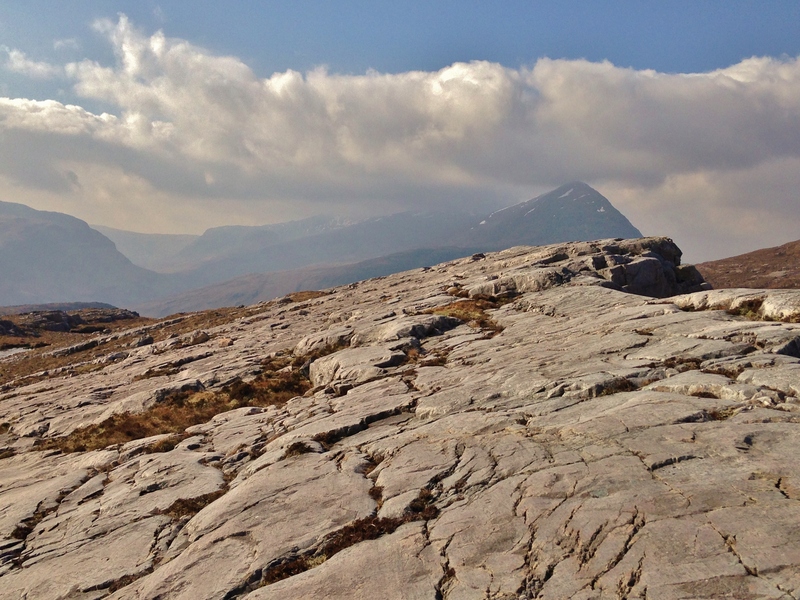 Glacial polished quartzite escarpments encountered on the approach to Sail Liath. 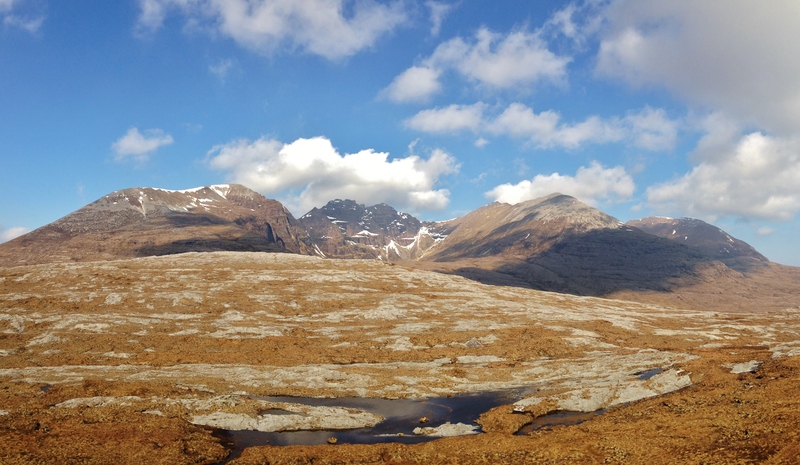 Beinn A’ Chlaidheimh (916m) and Sgurr Ban (989m) of the Great Wilderness mountains behind.